There are many more to ways to savor sweet maple syrup beyond the traditional topping for pancakes. 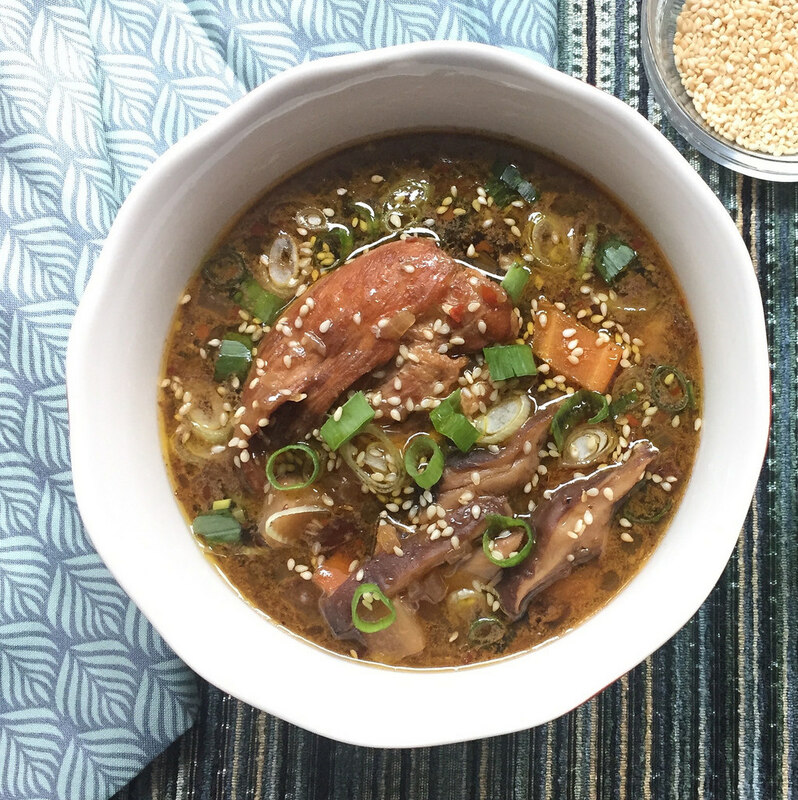 Try this sweet and spicy chicken soup for your next family dinner featuring vibrant flavors from pure maple syrup, crushed red chili flakes, and five-spice powder. New England is known for a lot of things: gorgeous fall foliage, winning sports teams, and naturally sweet and impossible-to-resist pure maple syrup. So when Maple: 100 Sweet and Savory Recipes Featuring Pure Maple Syrup (Quirk Books, 2015) by Katie Webster landed in my kitchen, I was more excited than two kids in a candy store as I poured through its sweet pages! 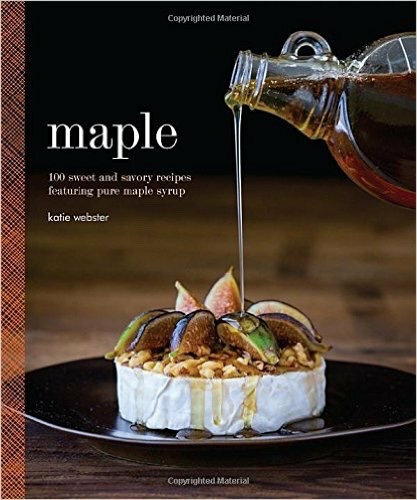 Katie’s book covers tips for using maple syrup in everyday cooking, and she shares the backstory on how maple trees are tapped. The book also features Katie’s formula for using maple syrup in place of sweeteners like granulated sugar. 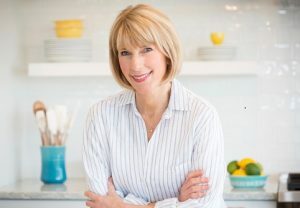 Katie lives in Vermont where she cooks up new dishes each week for her food blog, Healthy Seasonal Recipes. 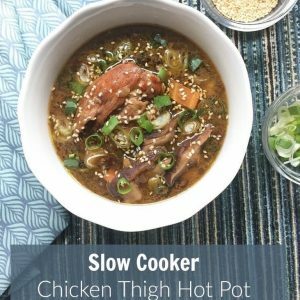 I did have a chance to make Katie’s recipe for Slow Cooker Chicken Thigh Hot Pot. While I initially planned to make her Maple Carrot Cupcakes with Coconut Cream Cheese Frosting and Maple Ginger Roasted Salmon, the cooler New England weather beckoned me to give her slow cooker soup a try. 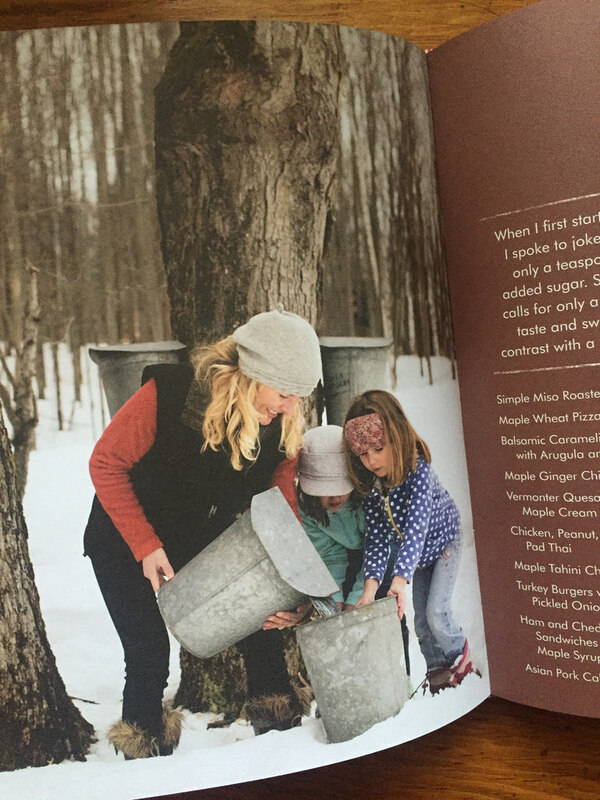 Katie and her daughters collecting sap from maple trees. Don’t you just wish you could bundle up and pop yourself into that scene right now! The secret to Katie's slow cooker success starts with the chicken, which she first browns on both sides in a skillet. The addition of vibrant flavors from maple, five-spice powder, crushed red pepper flakes ... and the addition of lots of veggies, make this a winning recipe in my book. Recipe courtesy Katie Webster, author of Maple (Quirk Books, 2015). Heat oil in a large heavy skillet over high heat. Add chicken thighs and cook for 7 to 8 minutes, until browned. Flip and brown other sides. Remove skillet from heat and transfer chicken to a large slow cooker. Return the skillet to medium-high heat. Add onion, mushrooms, and garlic and cook, stirring often, 3 to 5 minutes, until onion is softened. Add five-spice powder, ginger, and red pepper flakes and cook, stirring 30 to 90 seconds, until fragrant. Add sherry and cook, scraping up any browned bits, 30 to 90 seconds, until mixture comes to boil and sherry is reduced by one half. Transfer onion mixture to the slow cooker. Add broth, syrup, tamari, and vinegar and stir to combine. Place carrots, celeriac and potato on top (do not stir.) Cover and cook for 4 hours on low. Garnish with sesame seeds and scallions and serve. I often use 100% natural maple syrup in my coffee ! It’s amazing I love it . Thank you so much for reviewing Maple for your readers and having me as a guest on your podcast. I had such a nice time talking to you both! We make eggnog french toast and drizzle maple syrup and sprinkle walnuts over it. I can lots of low sugar jam to share with my family, and this summer I discovered how awesome maple syrup is in my blueberry jam! I use maple syrup in everything. It has been a life saver for me. For some reason it DON’T spike my diabetes and send it through the roof. 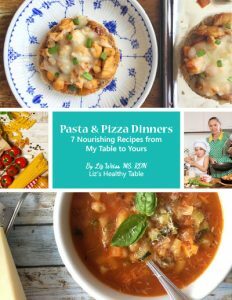 I would like to win a copy of your book to learn more recipes for my meal time won’t be boring and taste great also. I like to use it in homemade salad dressings as the sweetner. Perfect for a salad of greens with roasted squash, sunflower seeds and dried cranberries! I love maple syrup. My latest use is to add a little bit of maple syrup to plain non-fat Greek yogurt. Delicious!! And my 4 year-old loves his yogurt this way. I make sausage biscuits for my son to take for breakfast and find a little maple syrup adds a somin’ somein’ to the sausage! I would love to win the giveaway! Love maple syrup, grew up making it with my dad. Now my brother carrys on the tradition. I love it on pancakes, waffles, eggs but have been adding to my macaroons and macaroni. I use maple syrup to make my favorite almond butter/coconut cookies. Yum! I add maple syrup to oatmeal instead of brown sugar. Maple pecan pie every Thanksgiving! I like to use it as a sweetener when I make breads or muffins, also when I make plum fruit leather in the fall it gives it a nice sweet extra kick. I love maple syrup on my waffles and pancakes. I also use it when I make my homemade granola and when I roast butternut squash. 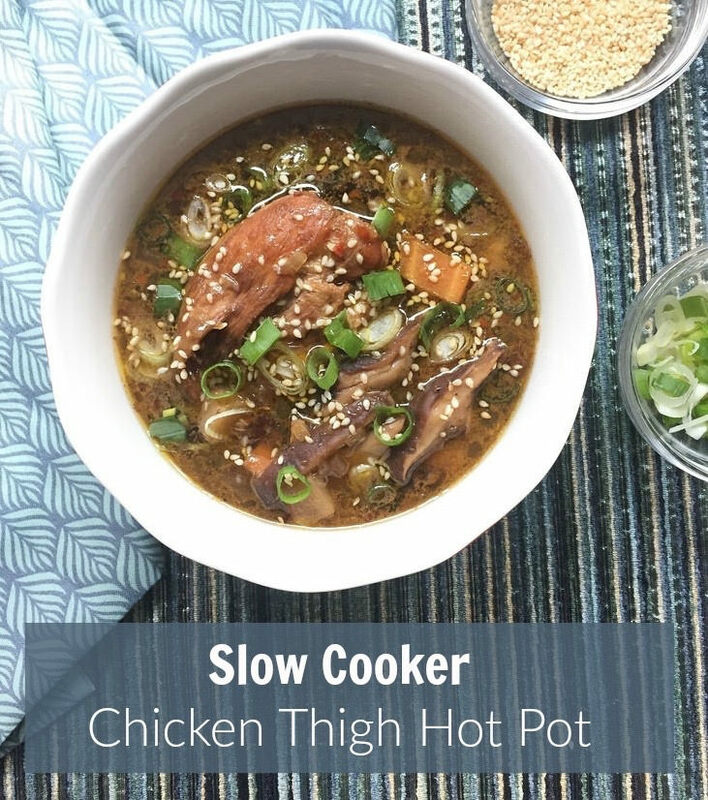 The Chicken Thigh Hot Pot looks and sounds delicious; can’t wait to try it! Love maple syrup in oatmeal and Cream of Wheat cereal. However, my favorite is dipping a dark chocolate bar in maple syrup, perfect combination! Don’t judge me…. I have the biggest sweet tooth ever! Pancakes/waffles of course plus my husband limestone make an old French Canadian dish… Eggs poached in maple syrup over toast . It’s delicious . Pancakes/waffles of course plus my husband llikes to make an old French Canadian dish… Eggs poached in maple syrup over toast . It’s delicious . My favorite way to use maple syrup in cooking is in a maple-orange pork tenderloin…delicious! I am boring and only use it on pancakes so I would love o have more ideas on how to use it! Everyone’s ideas sound delicious! 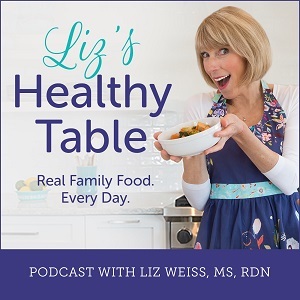 I can’t wait to listen to your podcast with Katie-love her cookbook! I almost made the Chicken Hot Pot to share on my blog, but was too tempted by the Maple Turkey Chili 🙂 Can’t wait to try this recipe too! I use it in salad dressing and on pancakes with pumpkin butter. Yum!! I use maple syrup in our coffee, make homemade s salad dressing, & bake bread with maple syrup! I live in northern New Hampshire and we use real maple syrup for a lot of cooking. When I make meatloaf I use maple syrup, brown sufar and I etchup for my topping. I also make bread pudding with maple syrup. The kids favorite thing to make with maple syrup is frozen snow. In the winter we heat up syrup and roll it out on snow with a lollipop stick and thats it. I’m lucky enough to get freshly tapped maple syrup from my uncle in Wisconsin every year. It usually goes on pancakes to enjoy the full, unadulterated flavor, but I bake with it, too. I almost never use maple syrup, always afraid I don’t know how to incorporate it in my cooking. 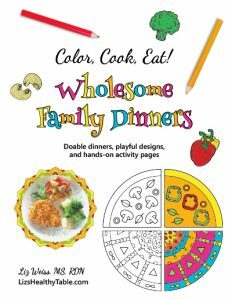 Winning this book would help! I use maple syrup in a favorite recipe. Maple Dijon Salmon. So good! On my pancakes too! !